Because more than a little somethin' somethin’ would be too much of a good thing. This new kid on the block lives up to its name, because we all know more than a little somethin' somethin' would be too much of a good thing. These guys are about keeping it simple as they serve up cafe fare by the fire. 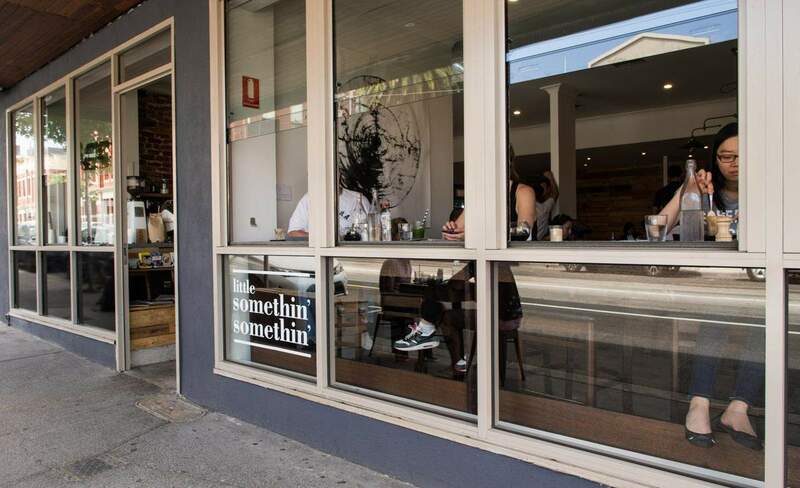 Housed just near the corner of Church and Balmain Streets, the Little Somethin Somethin team are a friendly bunch, keen to have a chat and, impressively, don't get too annoyed when you're taking your sweet time to decide on what to order. The menu has all the usual suspects (as well as a few of the unusual!) and the pulled brisket sandwich hits the spot in a way that only slowly cooked, tender, marinated meat can. Heading into winter, all the right moves have been made in making a big space feel comfortable. More specifically, their decision to bring a fireplace into the mix — be it of the non-wood burning variety, as it is — was a smart one. It is without doubt that Melbourne is in need of more places where one can eat and sit by a fire, so hopefully this is a trend that catches on. Compared with neighbouring establishments, prices are manageable for even the pinchiest of penny pinchers and, as a result, lunchtime office dwellers are out in force. With coffee that gets the "I literally can't even!" seal of approval from both Gen Y and non-Gen Y members and a menu to follow suit, Little Somethin Somethin is ticking a lot of boxes while bringing somethin' new to the Richmond scene.